Go Nelspruit test-drove the New Range Rover Sport HSE, one of 2018’s top selling SUVs which was launched at the beginning of April. “Everything is geared more towards being able to customize your car from start to finish,” Graeme Duthie from Land Rover Nelspruit explains. “It’s putting the power into the people’s hands”. Go Nelspruit test-drove the New Range Rover Sport HSE, one of 2018’s top selling SUVs which was launched at the beginning of April. 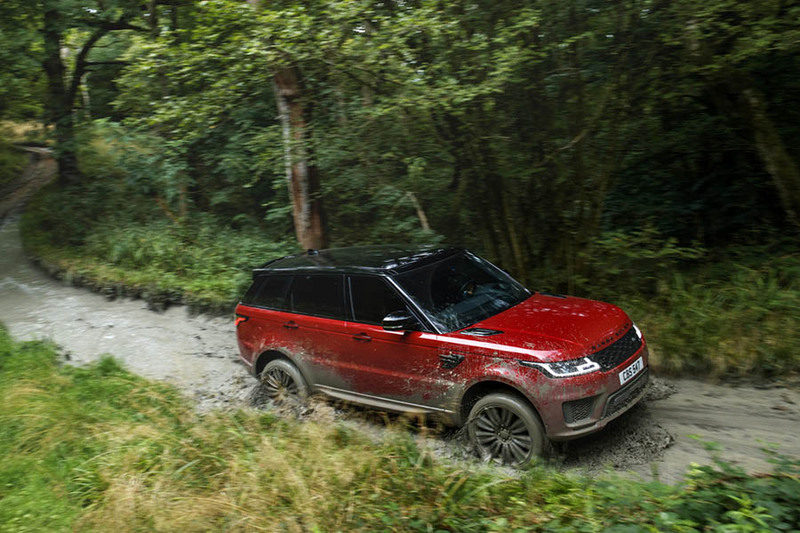 “It is the top seller, possibly because it is an all-rounder - fit for both the city and off-road,” Graeme adds. "A big interior change is the addition of Land Rovers' Touch Pro Duo in-car infotainment system that beautifully integrates two 10" high definition touchscreens." So what’s new in the latest model? The lights are full LED, the grills have changed and the front fenders have been extended with fog lights that are pure class. “But that is really just aesthetics. We have gesture sensitive features that are new to the Range Rover, like the inside glass panoramic roof and power blind,” Graeme adds, as he extends back his hand, opening the blind in one elegant move. A big interior change is the addition of Land Rovers' Touch Pro Duo in-car infotainment system that beautifully integrates two 10" high definition touchscreens. The system comes with a 100GB solid state hard-drive with 6GB RAM, voice activation and bluetooth connectivity. You are also able to mirror the screen from your phone, access the car and communicate with it via an app. You can check your fuel, see whether it is locked, turn on the air-con as well as inspect the car’s location and the weather in the area - great for those turbulent hail storms. “You can also see exactly where the car has been traveling,” Graeme explains. “You know, guys always joke about their wives’ whereabouts and that stuff,” he adds jokingly. “You can really customize everything: the size of the rims, the amount of technology, the inside leather, the sound system, the outside trim and most importantly the engine”. The model we drove has a 4.4L V8 Diesel engine with automatic transmission. “It is the most popular option in the Lowveld, because we do greater distances, we tow trailers, go off-road on gravel and we often drive to Mozambique towing boats”. As we walk up to the back of the elegant yet muscular New Range Rover Sport, Graeme opens the rear door with the key, but from a distance - a hands-free function. “Just imagine your hands full on a busy Friday afternoon,” he adds with a chuckle. We jet off on the R37, noticing the power of the engine and the magnificent size of the vehicle. “We call this a commanding driving position, you are high above the road and you can anticipate what’s going on,” Graeme explains. “It has a huge amount of systems to keep you on the road including Dynamic Response that improves the vehicles handling through hydraulic roll control, optimising on-road performance and passenger comfort. It also delivers increased low-speed agility along with enhanced high-speed stability and greater steering precision.